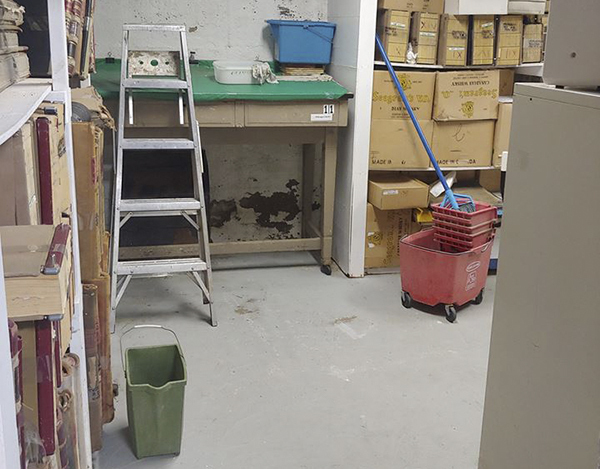 A Prince Albert Historical Society volunteer went downstairs on Sunday morning to find water flowing into the museum’s basement. Several other volunteers rushed in to clean up the approximate two inches lining the floor. It took Manager and Curator Michelle Taylor a bit longer to get there coming from her home outside of the city. Volunteers continued to manage the flowing water throughout the night until Monday morning—that’s when the city found out where the leak was coming from. 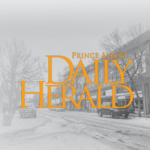 “There was a water, I think it was a main, in front of (McIntosh) Mall that was leaking and it followed the SaskTel line into our building,” explained Taylor. City workers dug up Central Avenue in front of the building that day. The only damaged material is a set of large maps that were stored directly underneath the leak. They’re laying out to dry on the second floor. The museum has been closed since the incident, but may re-open on Wednesday. Taylor confirmed it will be permanently open following the Santa Claus Parade on Saturday. She said the closure won’t affect them too much economically. “At this time of the year, we don’t get a lot of visitors, but I don’t want to have visitors come to the museum and only be able to see one small room,” she said, adding part of their main floor is also under construction. Taylor thanked the volunteers for taking control of the leak and preventing further damage. She said it was “just total luck” that the volunteer, who happened to be in the museum on Sunday, had to go downstairs and found the leak. On a Facebook post comment, Taylor said she hasn’t spoken to the city yet about repairing the building.